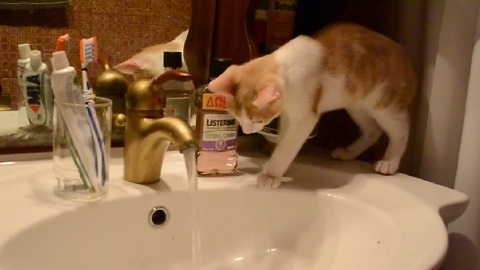 Tony the kitten encounters a sink for the first time in his young life. He doesn’t know what it is but he wants to find out! Why Are Cats Being Abducted and Shaved in Virginia? What a cute baby! It’s so nice to see a man taking his kids videos to. Thank you for sharing this.